It’s officially hot and humid and we hope you’re all relaxing at the beach and staying cool. We thought we’d give you some summer reading to thank you all for such a great season. Spring/Summer 2015 has been great for CPiF! We’ve hosted several fantastic events and saw many exciting ideas and collaborations develop. We’ve met some wonderful new members and enjoyed learning about your work and upcoming projects. It’s so exciting for us to see how CPiF is working to build a creative community in Florence, and most importantly that our members are benefiting from it. We’ve all been incredibly proactive and productive making CPiF a creative force to be reckoned with. We started off the Spring with Inside Out: Contemporary Perspectives at Palazzo Belfiore, a group show including CPiF members Joy Franklin, Naomi Muirhead, Brianne Service, Olga Marakova, along with a breath-taking performance by Diana di Mauro and Antonio Artese. It was a great night with a wonderful turn-out, we couldn’t be happier with how things went. If you missed it, you can see photos from the event here. We then jumped right into planning the CPiF section of Florence Design Week. The several months of planning and organizing was all well worth the effort. Our group rocked it! Not that we’re at all surprised, but our exhibits and events were the talk of the town during Design Week. Once again talent abounds and our members proved what makes our group stand out. There were even two articles written about us by Fine to Design that you can see here and here. Next, we were humbled to be invited to speak at #FirenzeDigital, the Influencer & Blogger Society blogger conference about the power of Facebook groups to bring build community—something we all know a lot about! Not only were we able to share our knowledge, but we also had the chance to learn a lot about social media and blogging while meeting new people and expanding the CPiF network. We were proud to share the stage with some major players in the blogoshpere and digital world, including CPiF members Nardia Plumridge from Lost in Florence, photographer Beatrice Mancini, videographer Kirsten Hills, and blogger Jacqueline Ahn. Thank you to everyone who came out and joined us last Thursday for Creative Aperitivo at Rari Nantes! What a great night! It was great to see so many of you again and to meet some new faces and learn about your work and future projects. It’s always refreshing and inspiring to hear about all the fresh creative things that are happening in our city. We hope that you all had a great time and made some new connections or found future collaborators. In the end, that’s what this is all about! We know that all of you have been hard at work too. CPiF member Trinity Mitchell launched Firenze Drawing Club. The group meets on a regular basis with the intention of offering people an unintimidating place to meet, share your work, and draw—or not. The best thing is you don’t even have to know how to draw to be a part of the group! If you’re interested in learning more about Firenze Drawing Club, you can join them here. 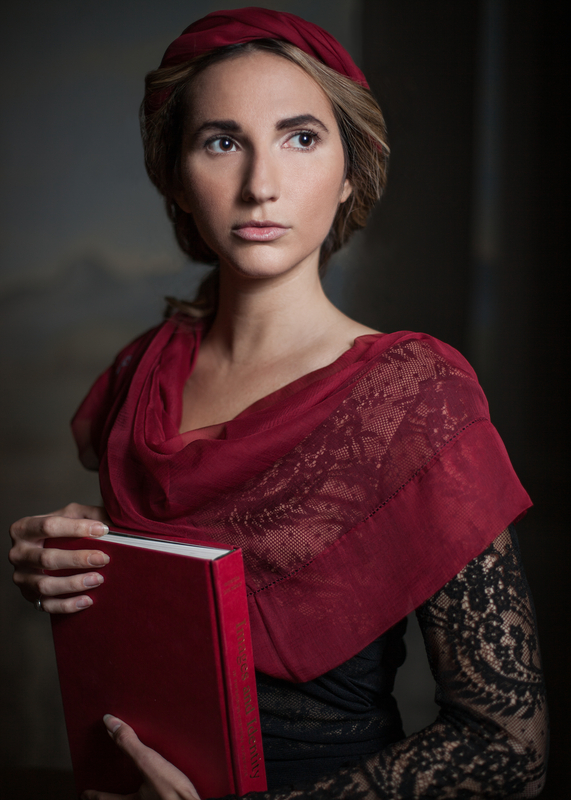 Equally as exciting is the new group Opera Professionals Tuscany started my our lovely lyrical soprano Diana Di Mauro. A true talent with a big voice in a very tiny body. We love Diana and hope that we’ll all get a chance to hear her sing in person one day soon. In the meantime you can enjoy this video of her. Get ready for the goosebumps! We are also in love with the photoshoot collaboration that included CPiF members Sonja de Graaf, Tinka Loncar, and Marina Holma. Head on over to Funky Bird Photography Blog and Wedding Chicks to see the full photo series. Trust us, you don’t want to miss this one! Just goes to show what happens when talented, inspiring artists get together. Long time CPiF member Marisa Garreffa, has taken to the stage with her new project, a series of Open Mic nights at Ostello Tasso. They will take place the first Wednesday of every month. Marisa describes the project saying, “Perhaps you are a poet, a novelist, a performer, a playwright, a journalist, an avid diary keeper, a scrawler of writings on walls. Whatever form your words take, we want to hear them. The only limit is ten minutes.” Curious? To learn more about the project, visit the Open Mic Facebook page here. Another exciting initiative that is well-worth checking out is Celeste Network, a contemporary artists network founded by CPiF member Steven Music. Not only is the site a great place to show your work on a virtual platform, you can also contact artists in the network, and learn about art opportunities. Want to get your work in front of a jury of top curators and art industry professionals? Check out the Celeste Prize. You still have time to enter Celeste Prize 2015, but hurry, the deadline is July 15th! Stay tuned for a Spotlight interview with Steven Music coming soon. That’s all for now. Anna and Sara are going to be taking to the beaches (not really, we’ll be in our studios working on our own work), but we will be back in September with a big event and an updated member directory. Remember to let us all know what you are up to and what events you will be planning or participating in. Email us at creativepeopleinflorence@gmail.com, post on the Facebook page, tweet @CPiFItaly, tag us on Instagram @creativepeopleinflorence—keep us in the loop! And last but not least, we would like to thank you all for your participation with Creative People in Florence. Your support and enthusiasm is what keeps us inspired. We couldn’t do it without you! You guys ROCK!